Prof. Dr. Jennifer Man-Fan Wan has been a full time Associate Professor at the School of Biological Science, the University of Hong Kong since 1993. She is currently the honorary Secretary of the Hong Kong Food Science & Technology Association. Dr. Wan leads the research on apoptosis in cancer and liver fibrosis by using Phellinus mushroom. Dr. Jennifer Wan earned her B.Sc. from the University of London, UK in 1983 and in 1987 received her Ph.D. degree from the University of Southampton, UK. After which, Dr. Wan spent 7 research years at the Dept. of Medicine, Harvard Medical School, Boston, Massachusetts, USA. Her research focuses on the relationship of dietary lipids and cancer, infection, immune function and also clinical nutrition. In 2002 Dr. Wan obtained a bachelor degree in traditional Chinese Medicine from the Beijing University of Traditional Chinese Medicine, Beijing, China. 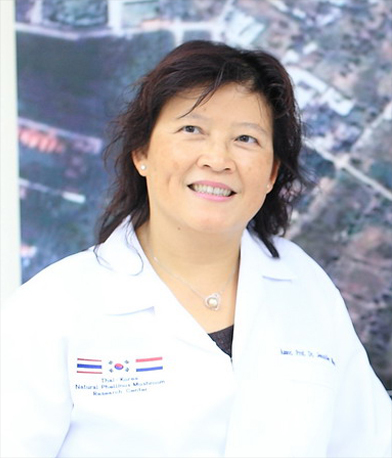 Dr. Wan has published over 70 peer reviewed articles in the field of proteomics, cancer biology, Chinese medicine, nutrition and immunology, omega-3 fatty acids and cancer, biomarkers identification in kidneys failure disease and necrotizing enter colitis. In addition she upholds full time lecturer duties at the University of Hong Kong. Dr. Wan has devoted herself to promote the culture, the knowledge and the science of traditional Chinese medicine and Chinese medicine diet via research and teaching for over 10 years. She discovered the anticancer mechanisms of Yun Zhi (Coriolus Versicolor), a Chinese medicinal mushroom. Her goal is to advance the understanding on the philosophy of food, medicine and health between eastern and western traditions.